Take a stroll in the park: Something as simple as a calm walk around the neighborhood can ease your mind and remind you what’s really important in life. And if there happens to be snow on the ground, your stroll in the park magically becomes a tread through a winter wonderland! Make grilled cheese with hot cocoa or soup: Few things are more enchanting in the wintertime than a pan-toasted grilled cheese coupled with a hot chocolate or tomato soup. Be sure to lightly butter the bread on both sides and toast evenly so it tastes just like how Mama made it! Have your own movie marathon: Sometimes, you’re just not up for going out into the cold-cold world. We get that. So curl up and bust out that pile of DVDs you haven’t seen in a while, or go on a Netflix and Hulu binge. 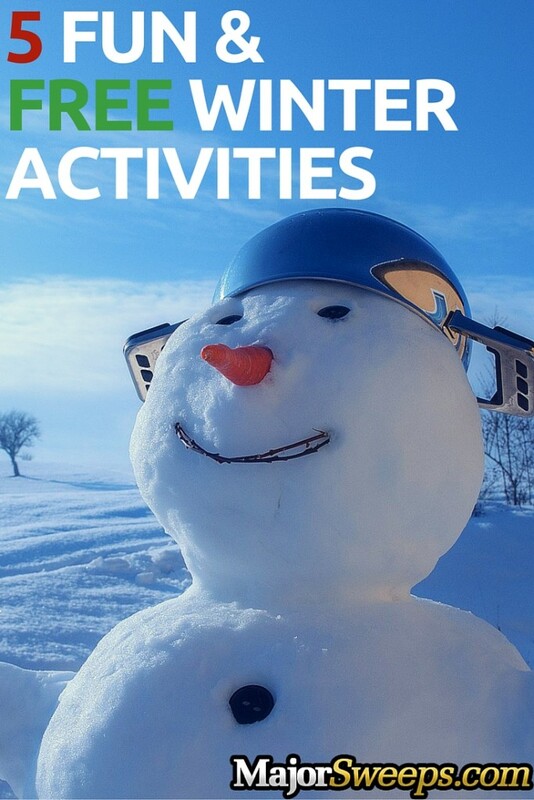 Go sledding with some friends: The snow brings some really fun and unique activities. Sledding is probably one of our favorites, since the more people you have, the faster you go! Gather up a couple people, find a nice snowy hill, and enjoy the excitement of insanely fast downward momentum. For even more fun, you could try your hand at a homemade sled and slide by in your own handcrafted chariot! Have a snowball fight or make a snow angel: Speaking of how fun snow is: when’s the last time you had a good old fashioned snow ball fight? How about the last time you made a nice big snow angel? Let that inner child out and do something a little juvenile! 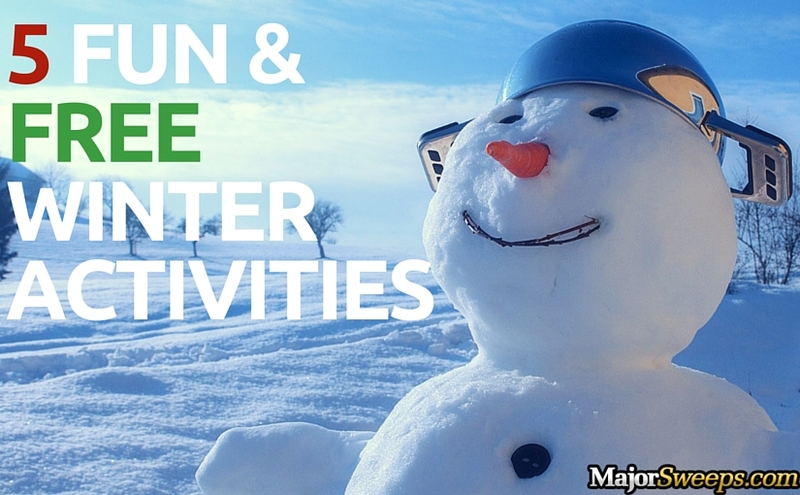 Whether you’re more of a snowball solider or a snow angel, it’s hard to resist freshly fallen snow. 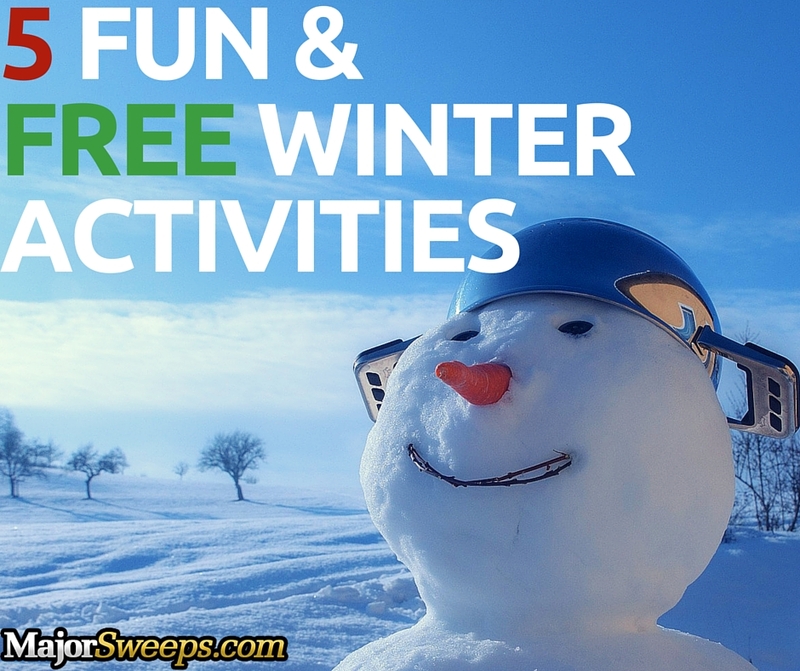 Now that we’ve got the snowball rolling, tell us on Facebook what you like to do for some frugal winter fun! And don’t forget to check out the incredible sweepstakes we have listed on our site every day!